Everyone has a different definition of clean, and when tenants move out of your property, you want to make sure that the home is clean before you begin marketing it to new tenants. There are a few areas that people tend to ignore, whether they are tenants or landlords. When you’re checking for cleanliness, take a look at what professional Denver property management companies scrutinize. Take a look at the stove and lift up the burners. Pick up the top plate and look underneath. Most of the grease ends up in this space, and you don’t see it until you take out the pans and really inspect it. Also, while you’re looking at the stove, check under the hood vent. There are filters under there, and no one remembers to clean those. Sometimes, you’ll need to replace them because they have gone so long without being cleaned. In the bathroom, take a look at the floor and the grout in the tub or the shower. It might not be white anymore, and that will require extra cleaning. Tenants have a habit of neglecting to change the furnace filters. They should be changed every two months, so make sure you include this requirement in the lease, and clean them out and change them before new tenants move in. While you’re checking the furnace for cleanliness, check your air conditioning unit as well. When you have these systems serviced annually, you’ll save a lot of money and protect the lifespan of your heating and cooling system. Pull the appliances out from the walls. Your refrigerator and your stove need to come away so you can get underneath and behind those appliances. Do the same thing with the dryer and the washing machine. Pieces of food, dust and lint as well as toys roll under these things. The areas around appliances are some of the major spaces that need to be checked if you want to make sure your home is really clean. While you’re checking to make sure the place is clean, take care of your responsibilities as well. Tenants should not be required to clean the gutters. That’s your responsibility, so make sure they are clear and free of moisture and leaves or other debris. Have your sprinkler systems checked and blown out professionally as well. You don’t want any leaks that can cause major damage. All of these things should be part of your property reviews, and make sure the cleaning requirements are explicitly spelled out in the tenant’s lease. 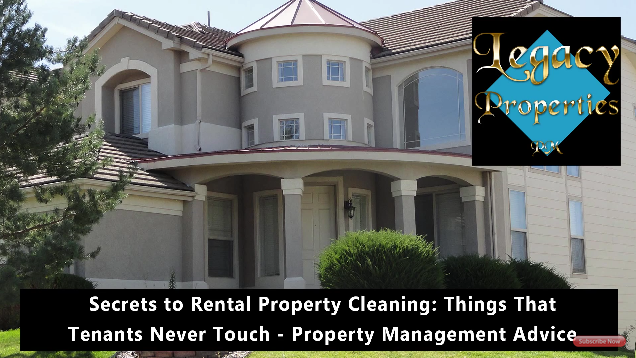 If you have any questions, or you’d like to hear more tips and tricks to cleaning your rental home and managing your tenants, please contact us at Legacy Properties. Voted Best Customer Service In Property Management Denver and Aurora Colorado! 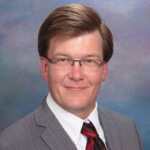 I have been in the Real Estate and Property Management business for almost two decades. I am building my own Legacy in the Properties and Real Estate I own, and I would love the opportunity to do the same for you and your family.